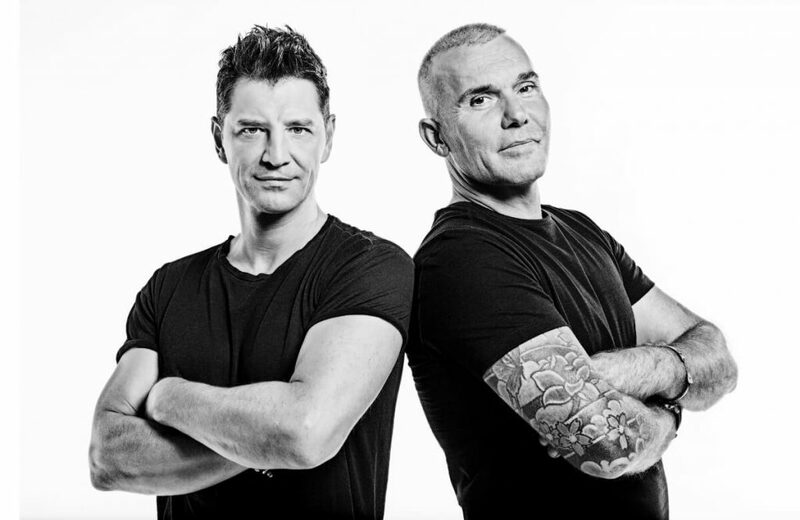 Sakis Rouvas and Stelios Rokkos are performing together at Estate in Athens this March. 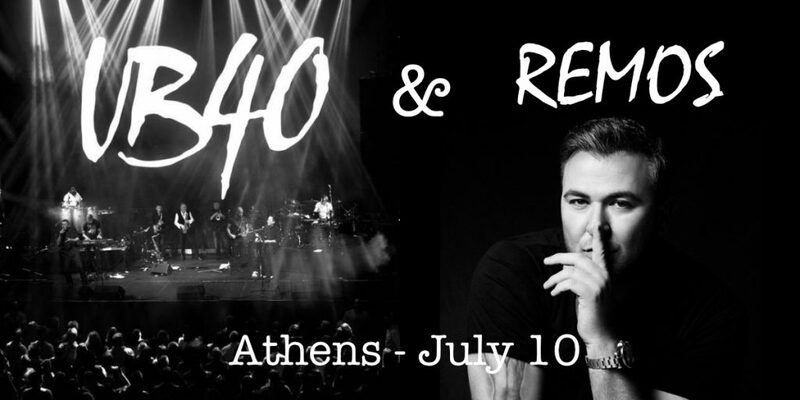 Experience the latest in the Greek music scene as Greek singers finish their up their residence at various venues around the city, marking the end of the winter season in Athens. Here’s our curated guide of Greek singers performing in Athens in the coming months. 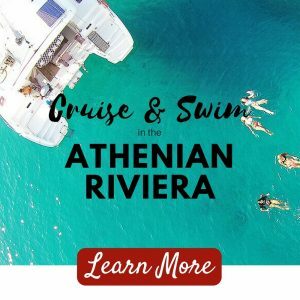 Are you coming later in the year? 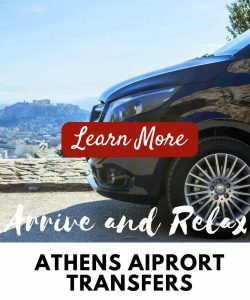 Click here to let us know when you are coming to Athens and we’ll keep you up to date as acts are announced. 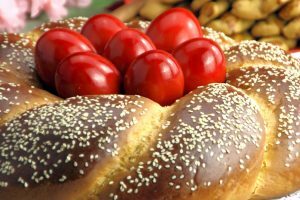 The winter residencies are winding down in the lead up to Greek Easter in late April. 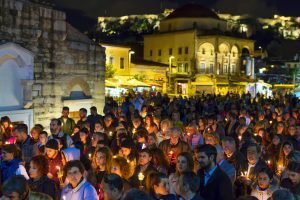 Traditionally the big artists will take a break in the Easter period and prepare themselves for the new season of open air concerts around Greece for the summer starting in June. There are still some big name performers taking up a weekly spots in Athens’ biggest clubs and venues. 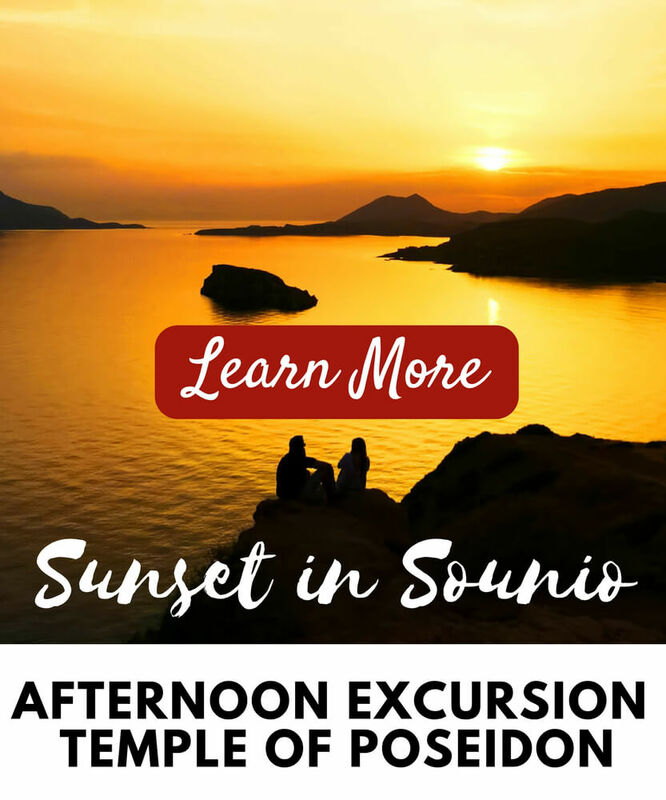 Greek music lovers will be able to see some new and old singers every week on intimate stages with the thrill of a Greek nightclub experience, where flowers are thrown, whisky is served by the bottle and the night doesn’t end until the sun rises! Known as the only female Greek singer to have three platinum albums, Natassa Theodoridou has been placed among the 12 top selling national singers, with 10 platinum and three gold albums. Her songs are considered contemporary “laika”. She will perform with Petros Iakovidis. Pre-Sale: Reservations made by telephone: +30 210 8940 302 or +30 210 8940 203. Yiannis Parios and Glykeria, two legends of the Greek music scene perform their favourite love songs on stage every Friday and Saturday at the Baraonda Club in Athens. 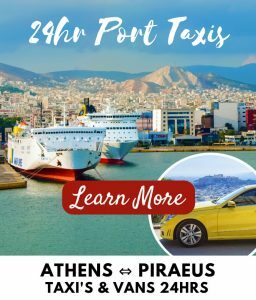 Parios, known and loved across the world for his ballads, has had a successful music career spanning more than 40 years and will be joined by Glykeria, another musical legend adored in Greece and abroad. 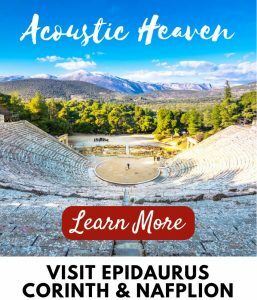 With a career spanning 50 years, prominent Greek singer and songwriter Dionysis Savvopoulos will perform at the newly restored performance venue ‘The Alsos’. 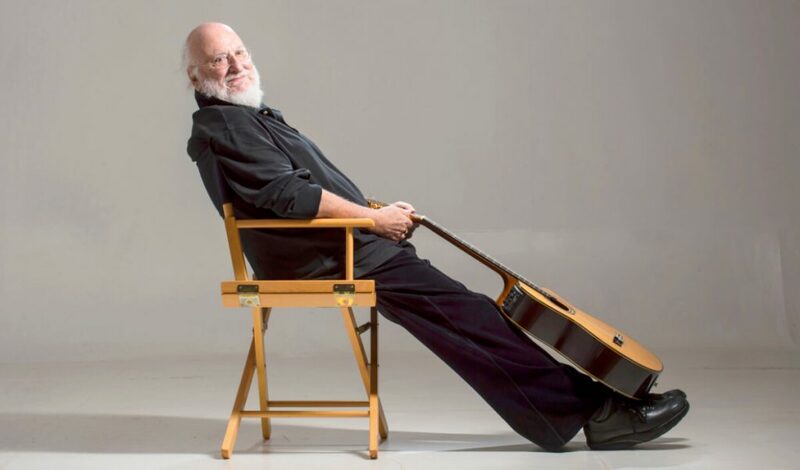 His repertoire, ‘Songs of Others’ (Τα τραγούδια των άλλων) is a collection of music from various artists, selected by Savvopoulos that have influenced him over his long career. He will be accompanied by musicians, Yiotis Kiourtsoglou (bass), Vassilis Hatzinikolaou (keyboard), Kallistratos Drakopoulos (drums), Dimitris Lappas (guitar/bouzouki) and Evi Mazi (vocals/flute). Greek composer and conductor Stavros Xarhakos returns to the main stage of Gazarte for another winter season of musical interpretation. 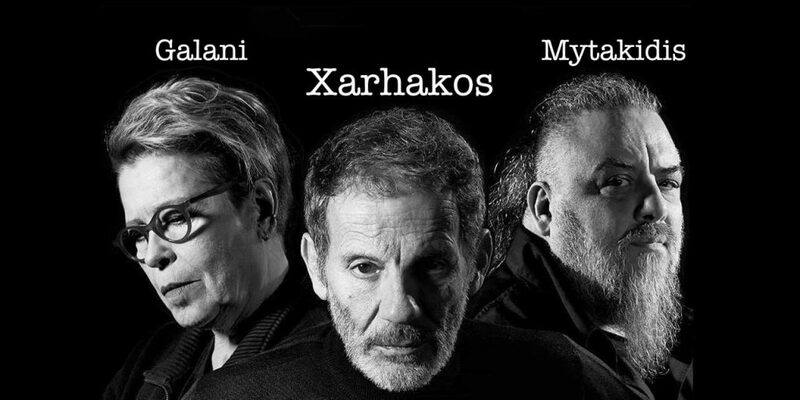 Xarhakos will interpret music in an evening celebrating the father of the Greek blues (rembetika) Markos Vamvakaris and will be accompanied on stage by popular Greek singer Dimitra Galani and Greek rapper Michael Mytakidis for an unprecedented performance. Greek pop artist Anna Vissi has released 28 solo albums and has played a key role in the Greek music both in Greece and abroad. She will take up residence again this for the winter season at Hotel Ermou to perform songs from her expansive career. 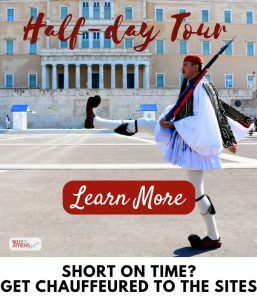 Popular Greek pop-rock singer, Sakis Rouvas has teamed together this year with singer/songwriter Stelios Rokkos and released a new single to coincide with their duet performances for the winter season. 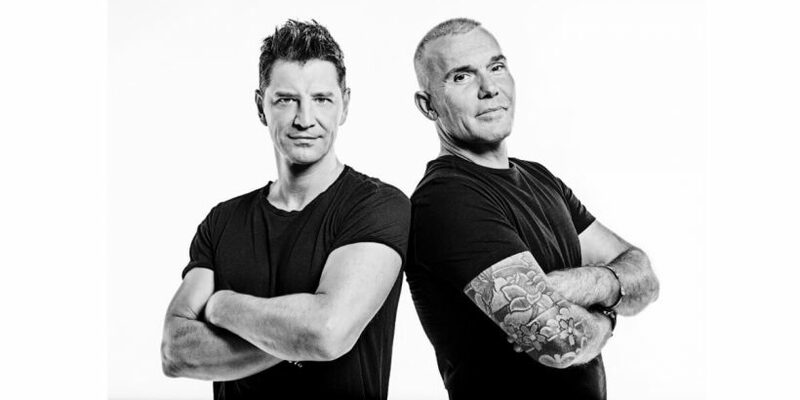 Starting in the clubs of Thessaloniki in the early winter, the pair will take up residency at Rouvas’ regular stage at the Estate Nightclub in central Athens. 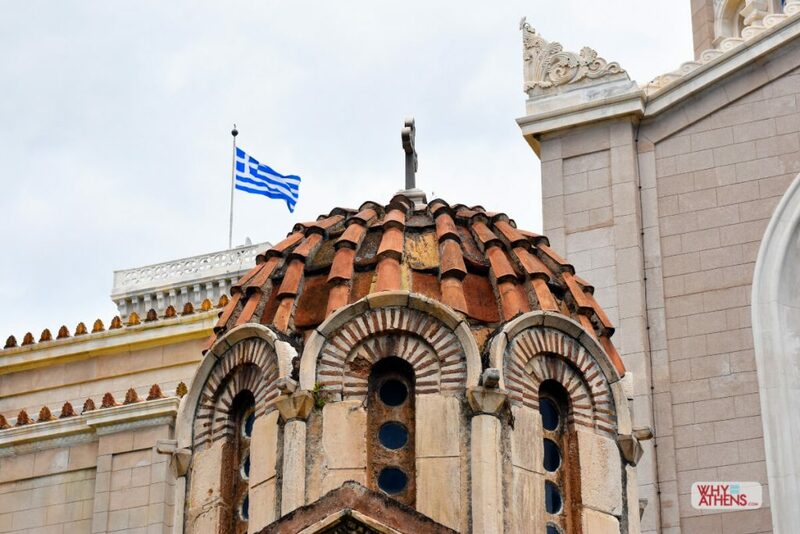 May 2019 sees the end of the artist residence programme at popular clubs around Athens. 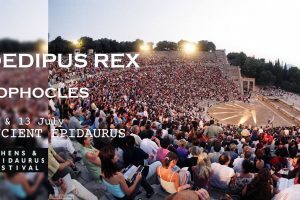 After the Easter month of April which is a quieter month for live music in Athens, your favourite Artists start preparing for the outdoor concert season at the magnificent open-air theatres around the capital. There are still some clubs showcasing some of your favourite Greek artists where the drinks are flowing and trays of flowers are bought and thrown on stage to honour the artists. More acts will be announced in the weeks leading up to May & June. 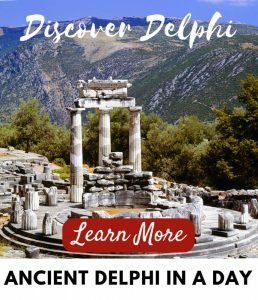 Let us know when you are coming to Athens by joining our mailing list here and we’ll keep you up to date each month as acts are announced. 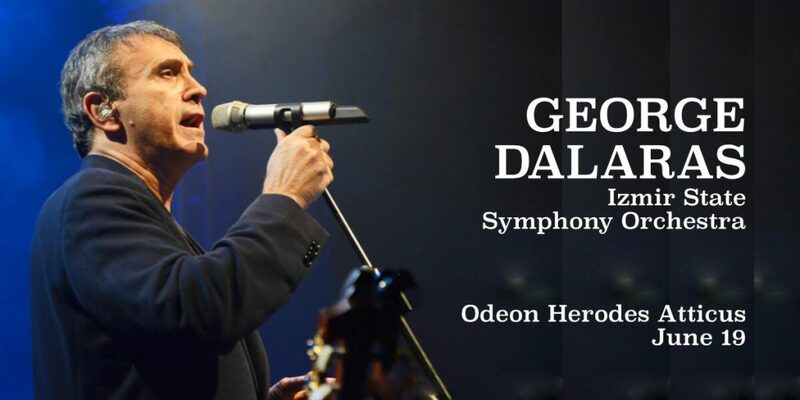 George Dalaras and the İzmir State Symphony Orchestra will give a breathtaking concert at the Odeon of Herodes Atticus in Athens as part of the 2019 Athens and Epidaurus Festival. Repeating the concert that was originally presented at the Ahmed Adnan Saygun Hall in İzmir, as part of a cultural collaboration between the cities of İzmir and Nea Smyrni, the old and the new Smyrna respectively. 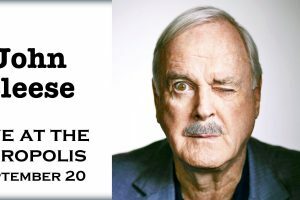 ARE YOU COMING LATER IN THE YEAR? YIANNIS PLOUTARCHOS & MELINA ASLANIDOU – Popular Greek singer and songwriter, Yiannis Ploutarchos drew huge crowds throughout the winter at the Fotaerio Nightclub in Gazi. Considered one of the most popular “laiko” singers of his generation, his deep voice is attributed to having a genuine “laiko” sound. Ploutarchos was joined on stage by Greek pop singer Melina Aslanidou. ALKISTIS PROTOPSALTI – Protopsalti performed a full programme of music on the main stage at Gazarte over the winter season with her five piece orchestra accompanied with up and coming supporting artist Yiannis Mathes. NOTIS SFAKIANAKIS & KAITI GARBI – Notis Sfakianakis and Kaiti Garbi, met at the AKROTIRI nightclub for summer performances along the coast of Athens. 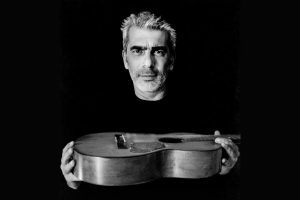 Panagiotis “Notis” Sfakianakis is a popular Greek folk singer and one of the most commercially successful artists in Greece. With a string of hit songs, Kaiti Garbi is heralded for her powerful musical interpretations and performances. LAIKA is urban folk music or Greek pop which makes up the majority of Greek mainstream music. ENTEHNA contains orchestral elements combining Greek folk along with the more popular sounds of “Laika”. REMBETIKA in simple terms is the Greek blues. It is traditional music of the late 19th century where the basic instruments are the bouzouki, Greek baglama and tzouras.